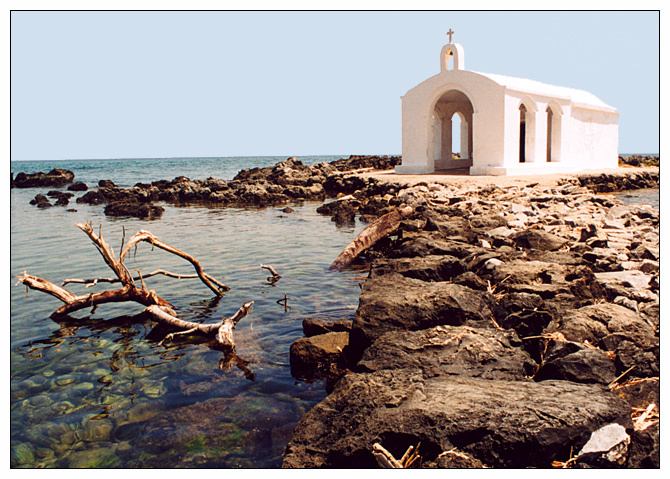 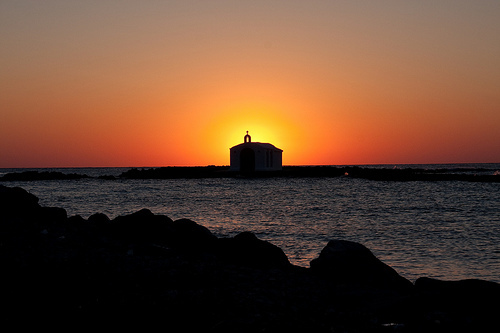 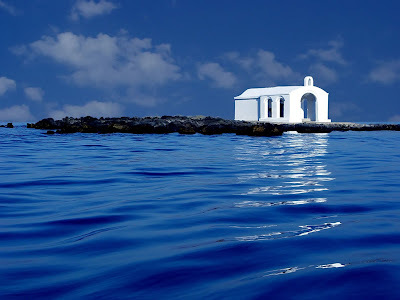 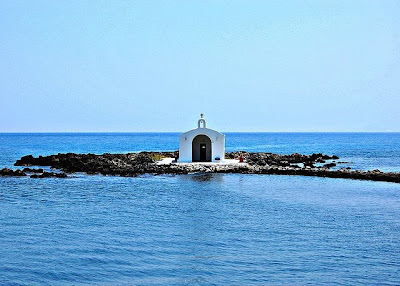 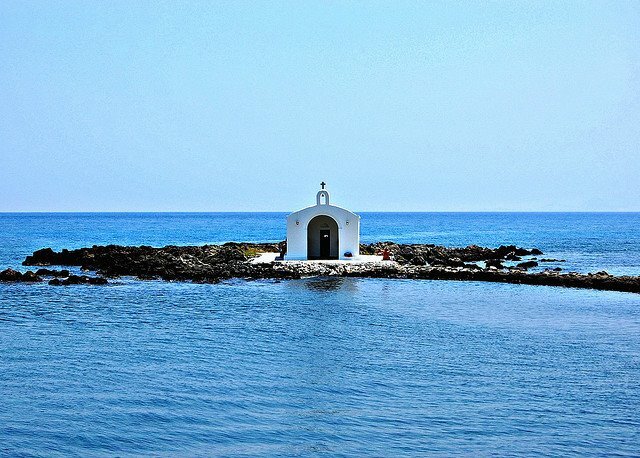 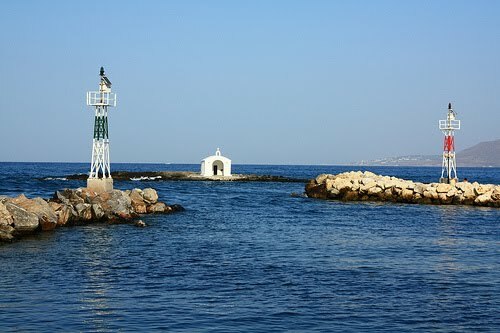 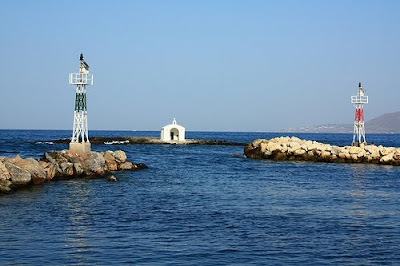 This extraordinary little chapel, located about 100 meters into the sea, serves as divine protection for those who sail out into the blue waters of the Sea of Crete. 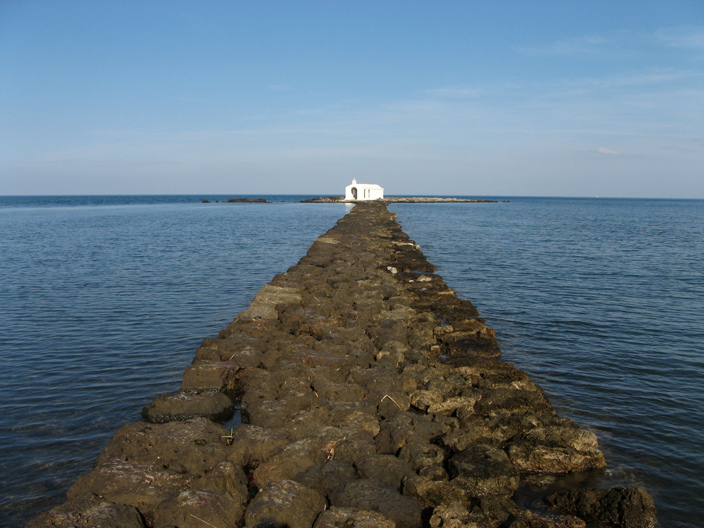 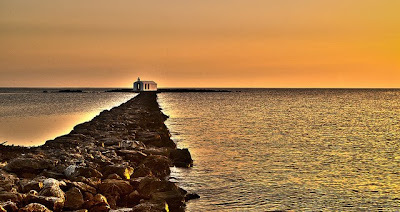 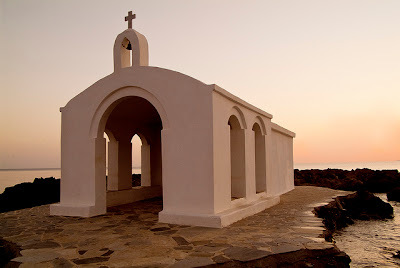 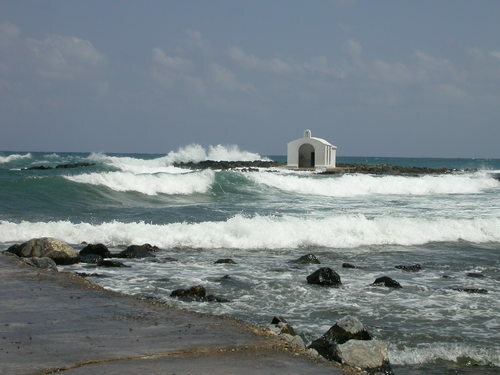 St. Nicholas Chapel is situated on a small rock formation off the western end of the popular eight kilometer long beachfront of Georgioupolis on the Greek island of Crete. 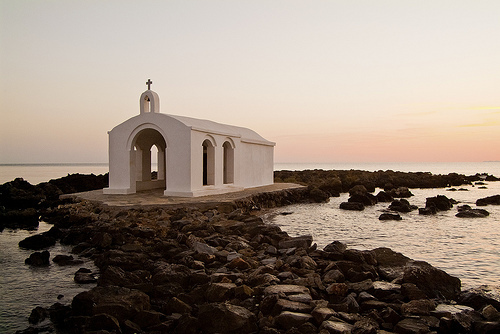 The chapel is dedicated to St. Nicholas because he is the patron saint of sailors, protecting village fishermen, and this chapel also serves as a place for families to pray for their safe return. 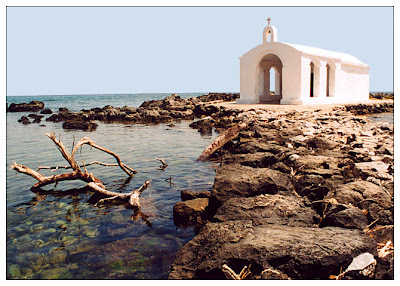 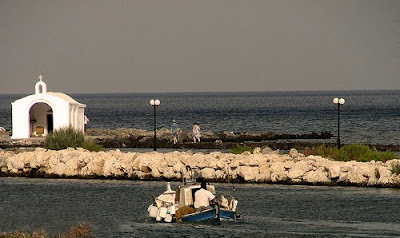 Though Georgioupolis was a fishing village up till 1990, today it mainly serves as a popular holiday destination. This chapel is also popular for wedding ceremonies.